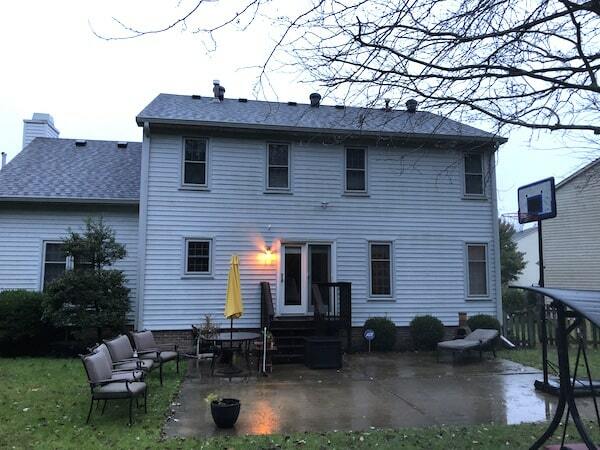 Attic Condensation - Tim Carter, the founder of AsktheBuilder.com, talks with Marvin who lives in Lexington, KY about his pesky attic condensation. Marvin notices it forming on the tips of the nails protruding through his roof sheathing. This is Marvin's furnace up in his attic. He feels it's contributing to his attic condensation issue. It is to a slight degree. LISTEN to the podcast to see how to stop the condensation. The red arrows point to the perforated soffit vents. All the pieces in between are SOLID. The solid pieces of vinyl need to come out and be replaced with perforated sections. Here's the rear of Marvin's roof. He's doing everything right here. He's got turbine vents and several static vents. I'd probably put in a continuous ridge vent to ensure no issues. 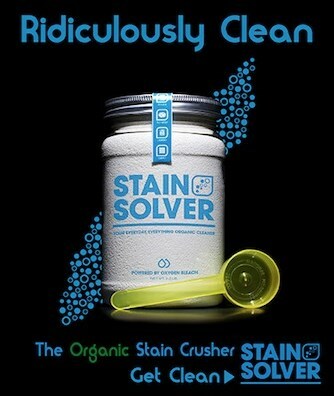 will the stain solver work on color grout? Ventilation is the key to solve the moisture problem. 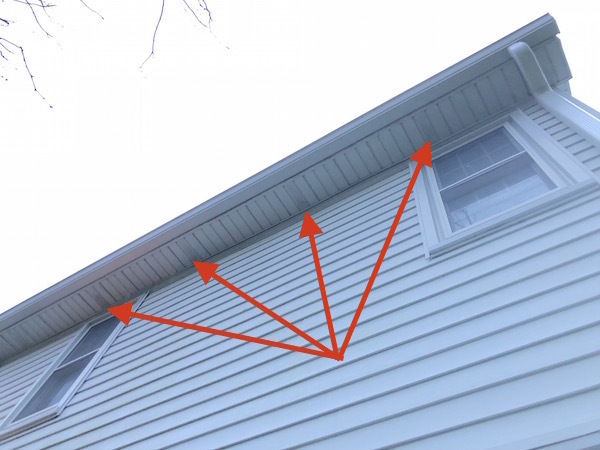 Make sure the amount of air getting in from under the soffits matches the amount of air getting out from the ridge vent, pot vents, turbines, etc., oh... and make sure there is adequate volume of air to carry out the moisture. One solution I have found to exposed roofing nails in the attic having water dripping off their tips is to have the roofer go on the roof with a hammer and drive every exposed nail head flush with the shingles and do not have roofers use pneumatic guns when installing shingles in the first place `---- USE HAMMERS ONLY. You can only have one type of vent for exhausting air from your attic. Turbine, Static ,Ridge venting or power vent. 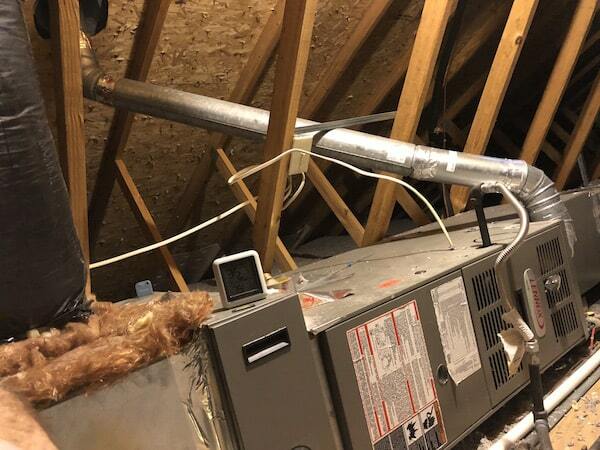 You need attic convection to rid the attic of condensation. I think a physics PhD would disagree with you. Can you expand on your answer and share more about the physics of air movement in a typical attic?